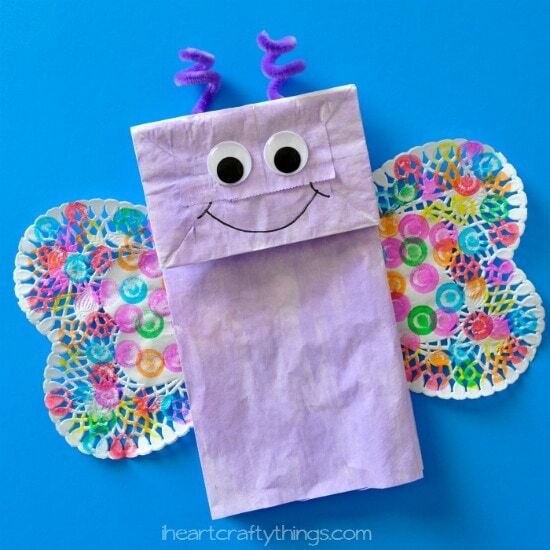 After we made our Bunny Envelope Craft the other day we were instantly inspired to make more spring animals. 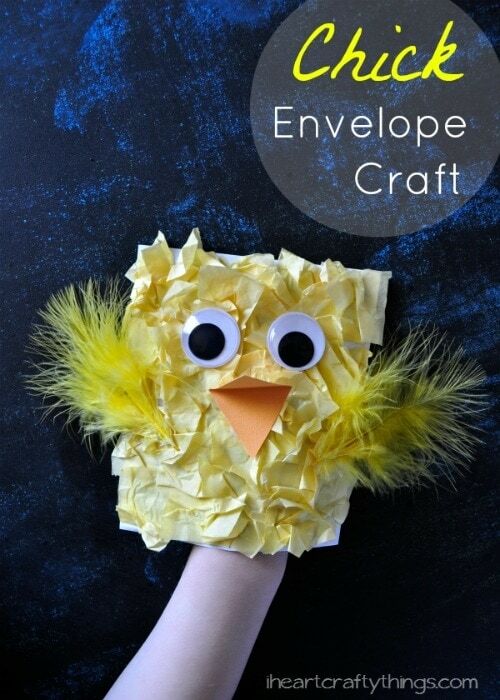 Since spring crafting doesn’t feel complete with making chicks, today I’m sharing with you how to make this cute Spring Chick Craft out of an envelope. 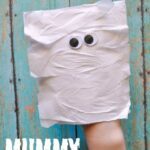 You aren’t going to believe how simple it is to make, and your kids will love them! 1. Start by sealing your envelope shut and then cut it in half so you have an opening in the bottom of it. 2. 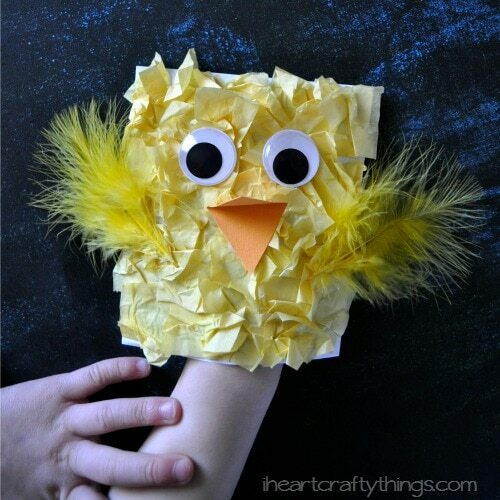 Cut some of your yellow tissue paper into squares. 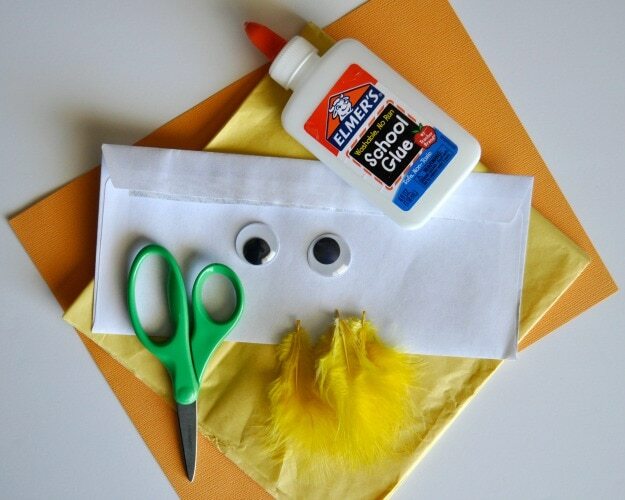 Add school glue all over the front of your envelope and add yellow tissue paper all over it. We crinkled our tissue paper up a bit when we put it on to give it more texture. 3. 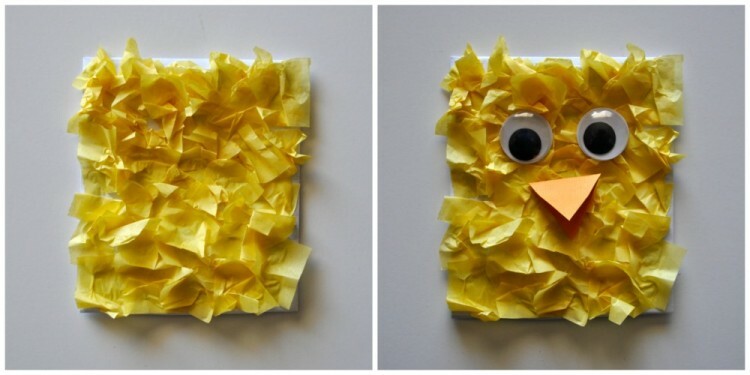 Cut a diamond shape beak out of your orange cardstock paper, fold it in half and glue it onto your chick. Also, glue your large googly eyes onto your chick. 4. 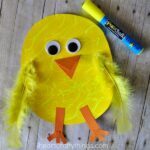 Finish your chick by gluing on a couple fluffy yellow feathers on each side. 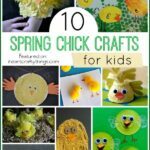 After it is finished drying, kids can put their hand into the envelope and have fun playing with their cute spring chick!